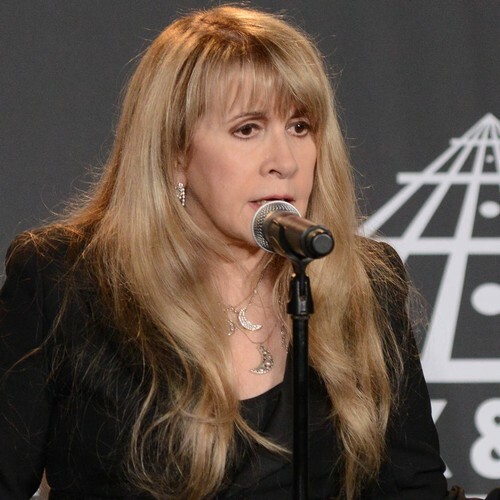 Stevie Nicks has forced Fleetwood Mac to pull out of the New Orleans Jazz & Heritage Festival after falling ill. The group was announced as the replacement for the Rolling Stones just last week, but now Stevie and her bandmates have had to step down after confirming she is sick with the flu. Fleetwood Mac recently postponed concerts in Boston and Philadelphia due to Nicks’ illness, and on Monday the band announced the remaining four shows of their U.S. trek would be rescheduled. "As an update to previous Fleetwood Mac posts regarding a band member illness, Stevie Nicks has the flu," a statement reads. "While she is feeling better already, management has consulted with her doctors and have decided to reschedule the remaining four shows of their North American tour to allow for her full recovery." A tweet from the jazz festival bosses reads: "Due to the illness of Stevie Nicks, Fleetwood Mac has just announced the postponement of four upcoming North American tour dates and their performance at Jazz Fest on May 2. Stay tuned for updates about May 2 talent and tickets." Fleetwood Mac bandmate Mick Fleetwood adds: "We are having more fun than ever on this current tour, but as we all know, touring life comes with its challenges. The flu has sidelined Stevie for a couple of weeks but she is on the mend and we look forward to getting back out on the road. We so apologize to the fans, but we are working on rescheduling." Nicks fell ill after making history as the first women to be inducted into the Rock & Roll Hall of Fame twice last month (Mar19).